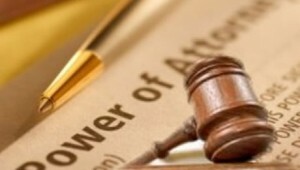 Having a Durable Power of Attorney for Finances (DPAF), also called a Financial Power of Attorney, Durable Power of Attorney or simply a Power of Attorney—allows an individual to act on your behalf in the event you become incapacitated. Having a DPAF is an important document if you own property or have income, investments, or expenses in your name. In Maryland, the individual you appoint in your DPAF is known as your “agent.” In the event you are incapacitated, including temporary stays in the hospital, your agent is permitted to manage your financial concerns including, but not limited to, payment of bills, bank deposits, investment management, insurance claims, benefits paperwork, and property repairs. When considering a DPAF be aware that the person named as your agent could have broad authority—depending on how your DPAF is drafted—over your finances and property. It is imperative that you name an agent you trust. If you cannot identify someone you trust enough to appoint as your agent, you may want to consider a guardianship or conservatorship. These options have the additional safeguard of court supervision; however, there will be additional expenses and work involved with these options. Determining whether someone is trustworthy enough to be an agent in your DPAF, or if the DPAF should be modified to satisfy some of your concerns, is something attorney Stephen J. Reichert is happy to discuss with you. No one should accept a one-size-fits-all or “form” DPAF. For example, it’s possible that you’ll want your agent to act on your behalf in certain financial matters but not others. In that instance, the Law Office of Stephen J. Reichert, LLC can create a legally binding DPAF that satisfies specific concerns. By creating a thoughtful, custom-made, DPAF with the guidance of an experienced attorney, you’ll have a document that meets your personal needs and ensures that you are protected in the event of incapacitation. 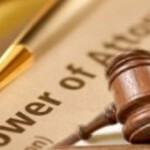 Attorney Stephen J. Reichert provides a free DPAF for all estate planning clients who also are seeking a Trust or Will. For a free, confidential conversation to discuss these and other estate planning matters, contact Maryland estate planning attorney Stephen J. Reichert at 410-299-4959, sreichert@reichertlegal.com or here.